Purchase Qualifying Rancho Products and Receive Up To $400 On a Prepaid Visa! Take Control of Your Steering! 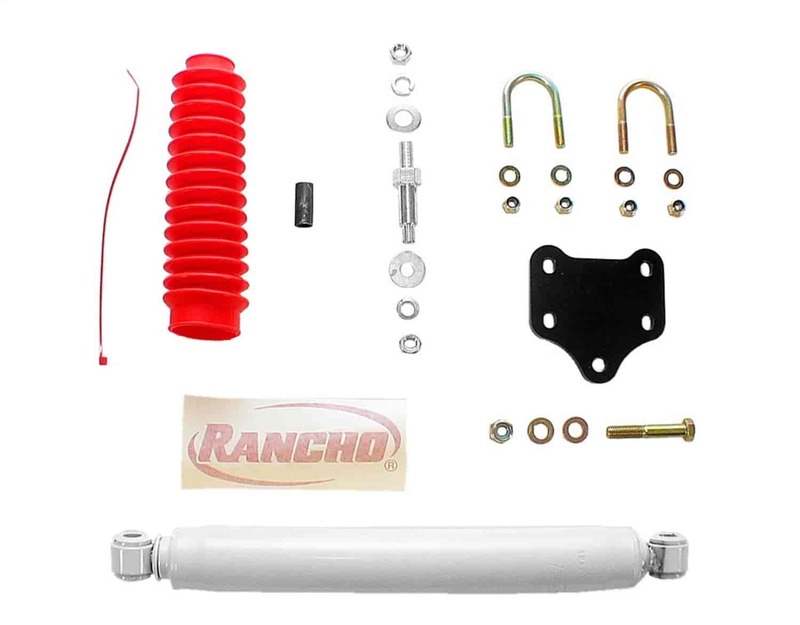 Rancho Steering Stabilizers are a simple and affordable way to enhance a vehicle's performance. Rancho Steering Stabilizers are ideal for off-road driving, towing and street applications. Rancho Steering Stabilizers help reduce wheel shimmy, bump steer and vibration as the shock series was engineered for vehicles with oversized tires and wheels. Rancho Steering Stabilizers can help reduce on road and off road driver fatigue. These steering stabilizers are built of the technology of Rancho's RS5000, RS7000MT and RS9000 shocks. Does Rancho RS97488 fit your vehicle?